Near the intersection of 81st and Vernon in the Chatham neighborhood of Chicago, Joseph Coles is waiting. Despite the days growing colder in the windy city, Coles has been living out of his car, a tan sedan, in front of his daughter’s apartment building since October 2nd, 2018. That was the day that his daughter, 26-year-old postal carrier, Kierra Coles, was last seen. Now the desperate father keeps vigil in front of her building, thirsty for news of any developments in her case. The family’s worry and confusion are only compounded by the fact that Kierra was three months pregnant at the time of her disappearance. Kierra Coles was last seen leaving her apartment on the morning of October 2nd. She lived alone in the apartment on 81st street, and had just moved to the area less than four months ago, according to her mother, Karen Phillips. Kierra was in regular contact with her family, especially her mother. When she didn’t hear from Kierra all day on October 3rd, her mother felt something was wrong, but did not react immediately. After two days of radio silence, Karen Phillips called the Chicago police to conduct a welfare check on her daughter. “I went over to her house to call the police for them to do a well-being check because I had seen her car. So I said, okay she’s probably just in there, maybe she’s asleep or – I don’t know, I just didn’t feel right,” Phillips told the Pittsburg Courier. The key piece of evidence so far in the case is surveillance footage recovered from a neighbor’s camera, which captured a person believed to be Kierra leaving the building, dressed for work in her postal carrier’s uniform. This has puzzled investigators a great deal, as Kierra called in sick to her job that morning, but still left the apartment dressed for work. The CCTV footage captured Kierra walking up and down the street in front of her building, past her car, before walking out of frame for the last time. Law enforcement and family members have been hoping to find similar CCTV footage that would illuminate more of Kierra’s movements, but no such leads have emerged. When the car was found, her cell phone and purse were inside, along with her lunch bag. Lauth makes an excellent point. According to the National Institutes of Health, intimate partner violence affects roughly 300,000 pregnant women every year in the United States. Even more staggering, it knows no sociological boundaries. It affects pregnant women of all ages, colors, education, and religions. Heightened emotions and changes in body chemistry can already be triggers for depression, anxiety, and maladaptive behaviors such as smoking, drugs, and alcohol during pregnancy. It can also trigger intimate partner violence, or what’s more commonly known as domestic violence. The National Institutes of Health also report that homicide is the second-leading cause of injury-related death for pregnant women, superseded only by car accidents. The National Coalition Against Domestic Violence reported that between 1990 and 2004, more than 1300 pregnant women were murdered in the United States, most commonly by gunshot, stabbing, or strangling. More than two-thirds of these women were killed in their first trimester. Karen Phillips has addressed the rumors that her daughter was killed at the hands of her boyfriend in the press, “I don’t think he was involved.” Keisha Phillips, Kierra’s sister, echoed her with a supportive, albeit equivocal sentiment, “We’re not singling anybody out. We know he is going to be a suspect, but as far as putting his mother, his kids—all that stuff up there—that’s just not right. We’re not asking nobody to do that, that’s not the type of help we’re looking for.” In a rare moment of jest, Karen Phillips told 107.5 WGCI that her daughter had known she was pregnant for a while, and became annoyed when Karen sent her links for baby items. “She’s like, ‘Don’t send ‘em if you’re not gonna buy them,” Karen recalled, laughing with interviewers. 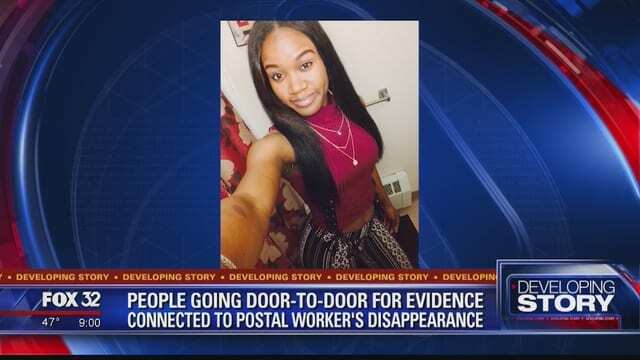 Kierra’s family has noted that they have received few updates from police since she was reported missing, but that USPS has been regularly in touch. Karen told 107.5 WGCI, “The postal inspector, he has been calling and checking in saying, ‘We are doing all we can. There’s things that we can’t tell you right now, but we’re doing all we can.’ I’m just guessing they just want to have facts together, they don’t want to give me bits and pieces.” The USPS has offered a $25,000 reward for anyone providing information that leads to Kierra’s safe return, and has been assisting in the investigation since it opened. 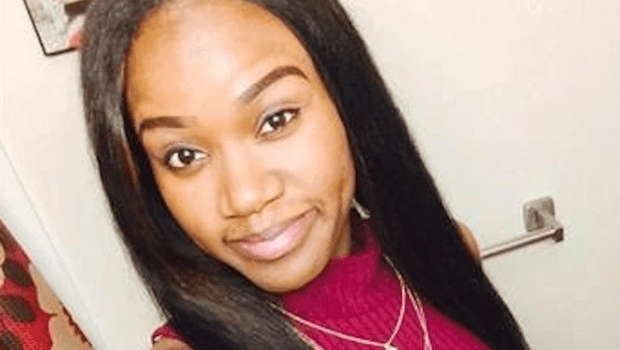 As Kierra’s case continues to garner national attention, non-profits such as Black and Missing have placed Kierra’s name, picture, and case information on their website in hopes of spreading her story throughout the country.